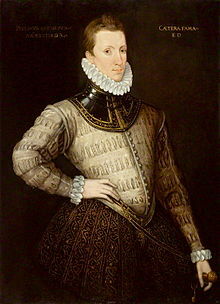 Philip Sidney is an English poet, respected and recognized both because of his plays and life, he died very young in The Netherlands, this and his personality made him a legend. 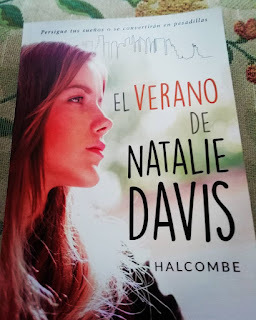 As he critized the Queen of England Elizabeth II who had been married wrongly (according to him) to Duke of Anjou he was olbigued to live retired in the countryside where he started to write, albeit he was not interested in the publication of his plays he defended poetry vividly. 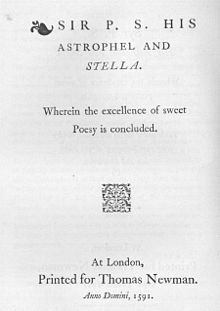 This Astrophil and Stella is his masterpiece dedicated to the aforementioned Penelope Devereux, he tries to explain how difficult is to express accordingly the feeling of love through writing and how silly were classic poets when they wrote about love, this poem is a parody of the latest even though he used some of his techniques. With regards to the title, Astrophil and Stella. Aster means star and phil lover in Greek. As this poem was written amidst 1581 and 1583 the English we find is complicated, to make it easier here you can find some definitions. Definition of some old words found on this piece of writing. University of Cambridge dictionary. by Jove used to express surprise or to emphasize a statement "By Jove, I think he has won"